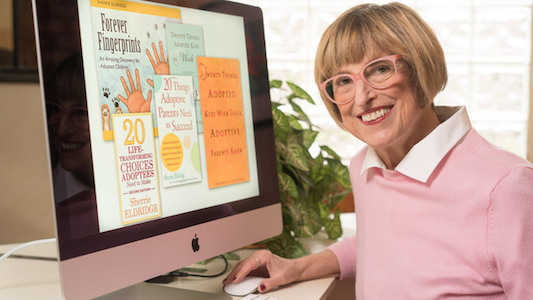 What Fuels Birth Family Searches for Adoptees and Foster Kids? Would Adoptees and Foster Kids Say Yes to This? This photo of a child with a deer illustrates the world of the adopted and fostered child. Parents struggle big time to enter their child’s world when explaining relinquishment. Sherrie teaches how to communicate love vs. shame.